KNEC KCPE 2017 Results checking sms code. (Safaricom, Airtel) and online portal update: The Kenya National Examination council (KNEC) has indicated that candidates who has sat for their class 8 examinations in 2017 should expect the outcome on November 2017. Find below a procedure on how get the results. (Update: For KCSE 2017 results visit this page: KCSE 2017 Release). 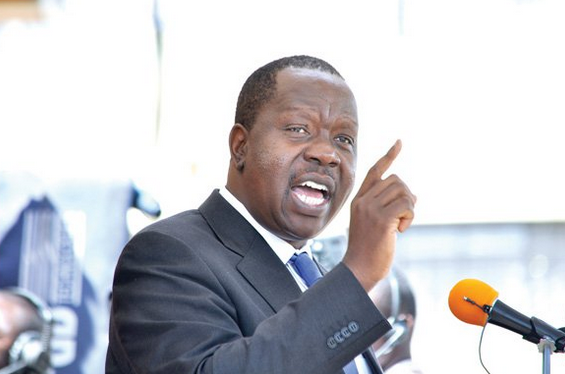 The Cabinet Secretary for education (CS) Fred Matiangi is expected to release the KCPE 2017 results before end of today (21st November 2017) at KICD. Ranking of best schools and candidates in the kcse 2017 exams will however not be considered. Sources from Mtihani house have revealed to us that the official code for Checking or getting results via mobile sms will be 22252 (once the results have been released). Candidates can also check their results in their respective primary school latest a day after release. Schools or Candidates who have had their exams cancelled due to alleged irregularities can appeal for remarking using the procedure provided in this page. Do not miss our performance rankings of the best and top schools in the kcpe 2017 results.